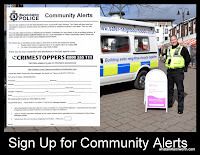 PCSO Carl Whitehouse was at Kenilworth Market this morning. 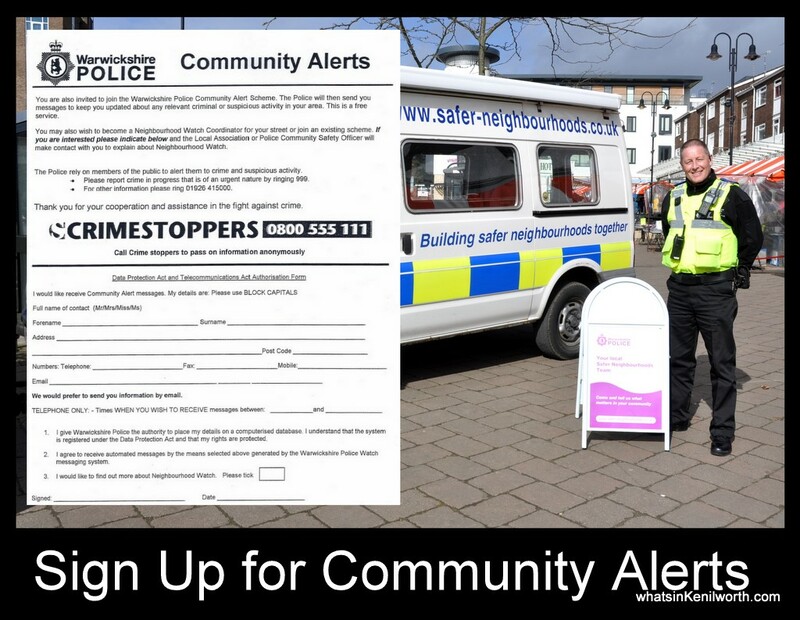 Warwickshire Police are keen to register as many people as possible to their Community Alert Scheme. The alerts, which are usually received by email, keep local residents up to date with any relevant criminal or suspicious behaviour.